Hillary Clinton was asked about the Monica Lewinsky scandal during an interview that aired on “CBS Sunday Morning” on October 14. The former first lady and US Secretary of State said she did not think Bill Clinton’s affair with Lewinsky was an abuse of power. 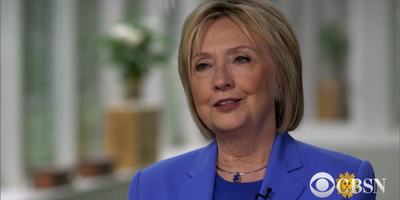 Hillary Clinton said on CBS that her husband, former President Bill Clinton, should “absolutely not” have resigned in the wake of the Monica Lewinsky scandal. Clinton said she didn’t think her husband’s affair with Lewinsky, which began in 1995 when Lewinsky was a 22-year-old White House intern, was an abuse of power, arguing that Lewinsky was an adult at the time. She then changed the subject to President Donald Trump, who has been accused of sexual assault by several women. “But let me ask you this. Where’s the investigation of the current incumbent, against whom numerous allegations have been made, and which he dismisses, denies, and ridicules? '” Clinton said.